If you are an EU/EEA national and are travelling or staying temporarily in another state of the European Economic Area (EEA) or Switzerland, you are entitled to receive medical care if you become ill or have an accident. If you are a student or a seconded worker, or if you are entitled to a social security pension in that state, you will be entitled to health care beyond the immediate treatment. 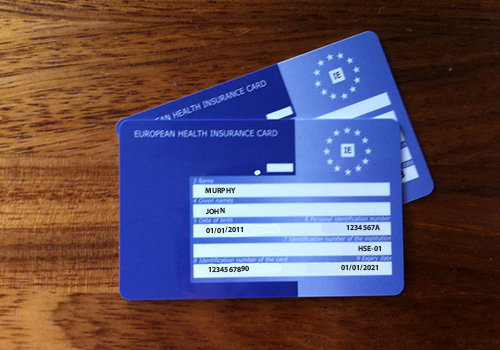 The European Health Insurance Card (EHIC) replaced the E111 form and a number of other ‘E’ forms including the E128, making it easier for you to get medical care quickly and easily. It is evidence that you are part of a health insurance scheme administered by another state in the EEA/Switzerland. To obtain healthcare with the Card, you can go to the nearest public system doctor, public hospital, or other public treatment centre and present your Card. Public health care systems vary from country to country, and few countries pay the full cost of health care for holders of the Card, so there may be some element of co-payment for the services you receive. Currently, the EEA comprises the 27 member states of the European Union together with Iceland, Norway and Liechtenstein. Your European Health Insurance Card is valid for use throughout any of these countries and in Switzerland.